The crop in a well-marked plot of this field is, then, harvested, threshed, winnowed and weighed. If the produce contains moisture, it has to be dried first before weighing. The field where a CCE takes place is supposed to be selected based on scientific sampling. Crop cutting experiments (CCE) have traditionally been conducted to obtain reliable average yield rates for estimation of agricultural production. These are mostly done by district/subdivision-level officials from the revenue, economics and statistics or agriculture departments of the concerned state governments. The field where a CCE takes place is supposed to be selected based on scientific sampling. The crop in a well-marked plot of this field is, then, harvested, threshed, winnowed and weighed. If the produce contains moisture, it has to be dried first before weighing. The above system has been a tried-and-tested one and seen as having worked reasonably for arriving at agricultural production estimates. But when used for payment of crop insurance claims, it is hardly the best for two reasons. The first is for the simple fact that states would “want” yields to be higher in the former case (to paint a rosy picture of production), while lower in the latter (to enable farmers get the maximum insurance payout). The second reason for non-suitability is the sheer number of CCEs required in a crop insurance scheme, whose aim is not to arrive at an average yield figure, but to provide risk cover and make individual loss assessment in respect of crores of farmers. Under the Pradhan Mantri Fasal Bima Yojana (PMFBY), states are supposed to carry out at least four CCEs in every village panchayat for each crop and submit the yield data to insurance companies within one month of harvest. Given that there are about 2.5 lakh gram panchayats in India, it would mean 10 lakh CCEs in a single season — and many more if more than one crop is grown in the same village or even by the same farmer. 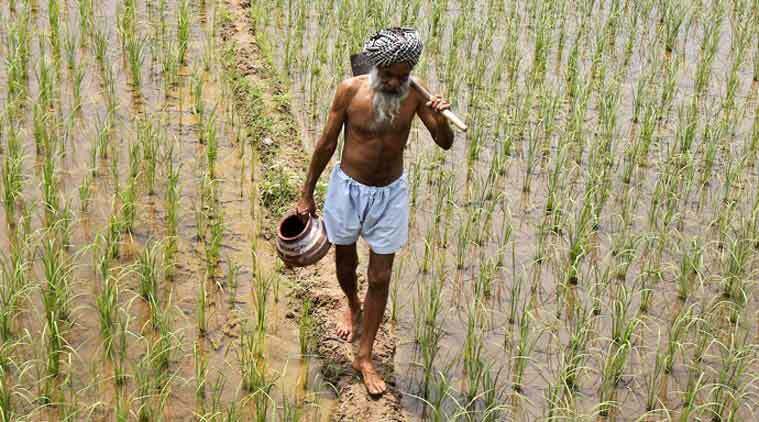 Not for nothing, getting so many CCEs done within a short time span has proved to be the biggest challenge in implementation of the Narendra Modi government’s flagship crop insurance scheme. “We need to reduce the number of CCEs and, at the same time, ensure sufficient data integrity to satisfy the insurance company,” an Agriculture Ministry official noted. According to him, it is possible to use satellite-based remote sensing technology for more intelligent planning and “smart sampling” of fields where CCEs need to be done. “You can select crop areas based on NDVI (normalised difference vegetation index) values captured by satellite remote sensors. There can be more CCEs in places with low to moderate NDVI values and less in those where the more green and dense vegetation (hence better crop health status) is reflected in higher values. Through this technology-enabled smart sampling, the number of CCEs can be brought down by 30-40 per cent,” he said. As far as yield estimates go, there aren’t too many technological alternatives to CCEs right now. Instead, the focus has to be on fewer but high-quality CCEs that the insurance companies can co-observe with state government officials. The yield estimates could also be confirmed with satellite imagery, soil moisture and rainfall data. The capturing and transmission of CCE survey data using mobile phones with time and date stamping — the Agriculture Ministry already has an Android-based app for this purpose — can further support timely processing and payment of claims.